* Scroll down for an update on tobacco industry lobbying on this file, which recently surfaced. Another industry letter from August 2018 makes clear the industry lobby strategy and approach. 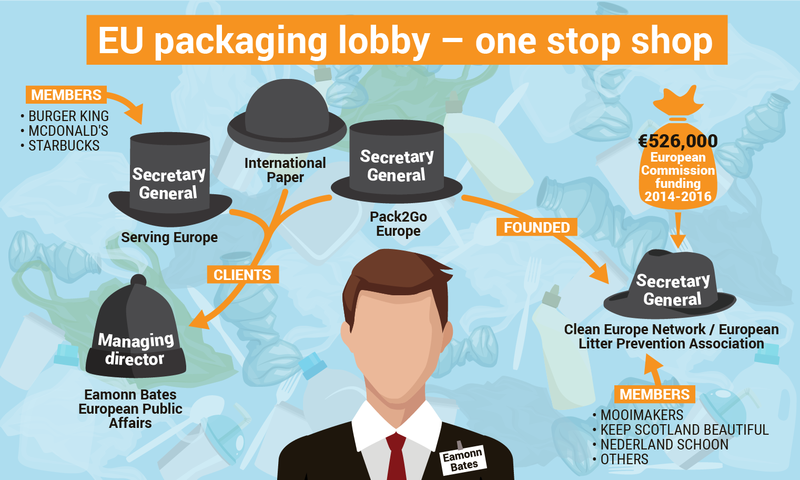 Lobby groups are trying to create a debate about whether this legislation, whose legal base is Article 192 of the EU Treaty (procedures to protect the environment), takes priority over existing rules (Packaging and Packaging Waste Directive) which are based on Article 114 of the EU Treaty, an article which prioritises the EU single market. This technical argument is all but invisible to ordinary citizens who just want to see less plastic in their life. 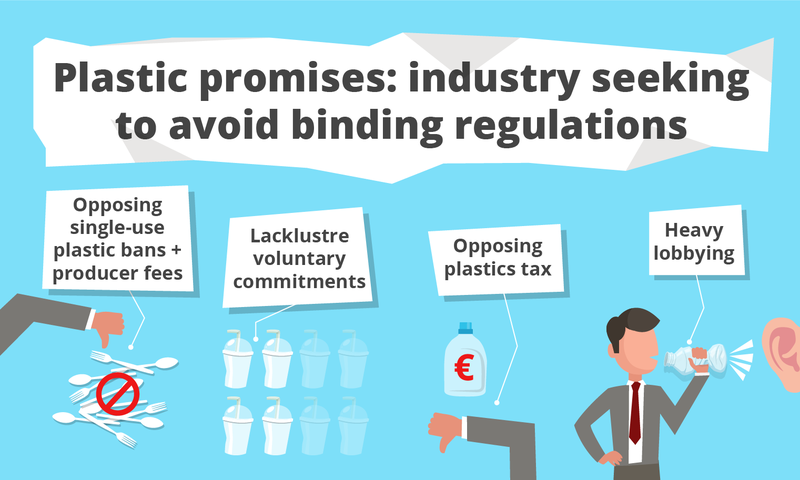 However, which Article of the EU Treaty is used to underpin these rules - environmental protection or economic arguments via the single market - will ultimately have a crucial impact on the strength and scope of the legislation, and it is clear that which side of the debate industry is using its substantial resources. 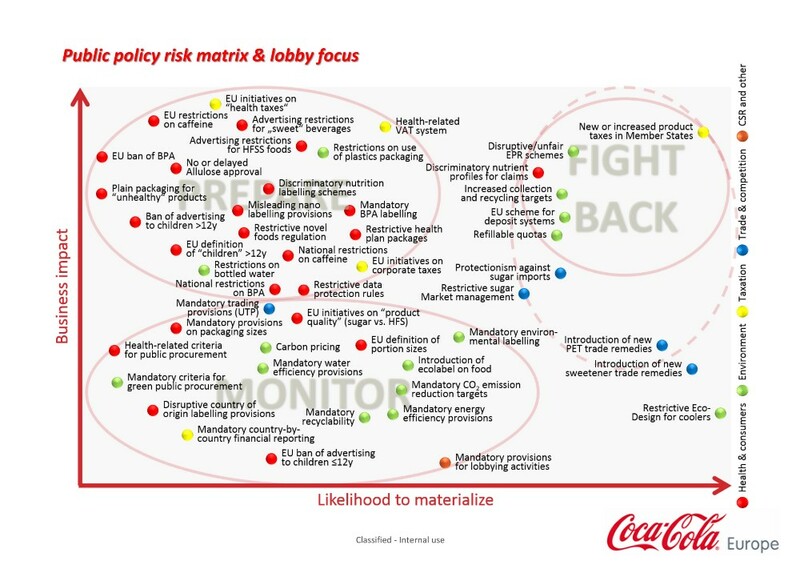 Lobby firms are clearly cashing in on industry’s nervousness about plastics regulation. 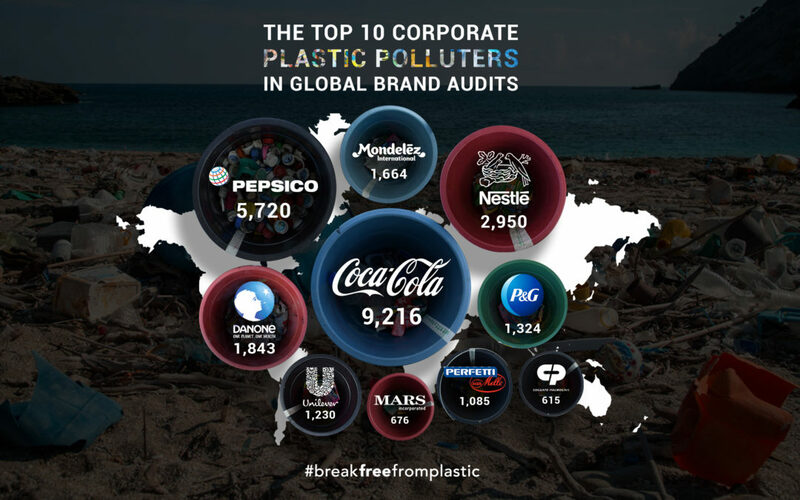 Public Affairs News has reported that the British Plastics Federation (BPF) is now working with Portland PR to spearhead “a secretive PR and lobbying offensive” to head off UK action to tackle single-use plastics. However, perhaps it is not so secret after all - the BPF can’t quite resist boasting about some of its recent lobby meetings with the highest echelons of the UK government! The tobacco lobby is fighting a rearguard action to avoid producer responsibility for the clean-up and waste management of cigarette butts, one of the most littered products in the EU. Belatedly the industry seems to have woken up to the fact that the single-use plastics proposal aims to include tobacco products in 'extended producer responsibility'. The European Parliament has also argued that there should be reduction targets for cigarette butts. One official has told us that the tobacco industry has been "quite active", and has been asking for lobby meetings with EU member state officials in the permanent representations, and lobbying via email and phone calls. Another told us that they had met with tobacco industry interests and a source has told us that the Austrian rotating presidency of the Council has also met the tobacco lobby on these issues. The impact of this lobbying will become clear at the third trilogue tomorrow (Tuesday 18); early indications are that the tobacco industry will not avoid the requirement to pay for the full costs of clean-up and awareness-raising. 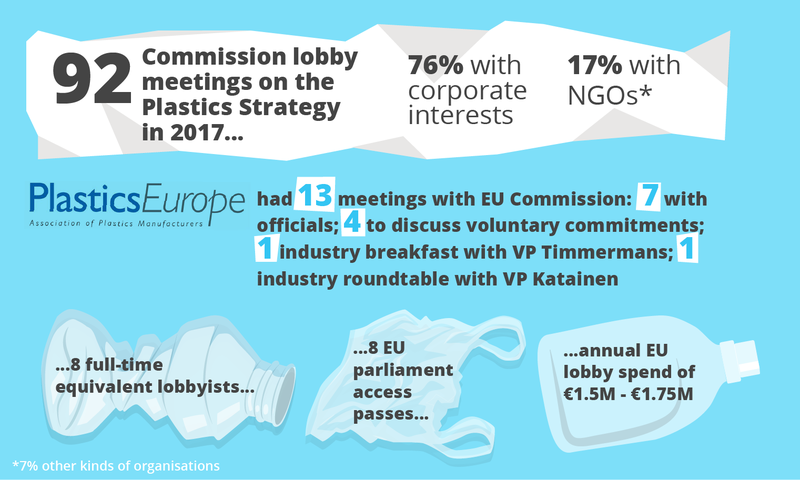 Excellent article, in line with this opinion paper from Ecopreneur from last week: Single Use Plastics Directive does not threaten internal market. Ecopreneur represents over 3000 SMEs across Europe committed to sustainability.